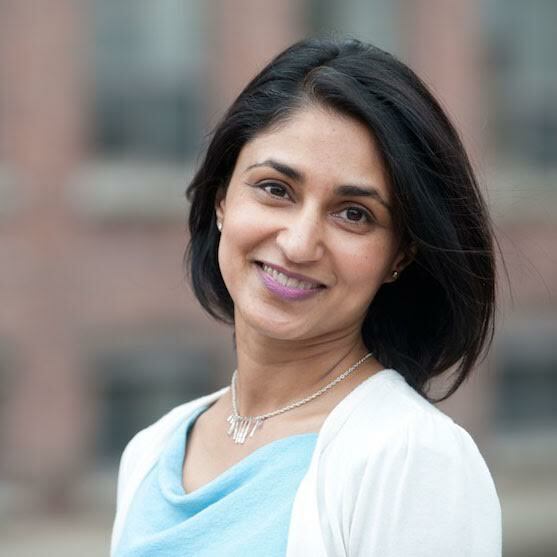 Dr. Rupal Patel is a Professor in the Department of Communication Sciences and Disorders as well as the College of Computer and Information Science at Northeastern University. She is also Director of the Communication Analysis and Design Laboratory and a Co-Founder and Core Faculty member of the interdisciplinary doctoral program in Personal Health Informatics there. She received her B.Sc. in Neuropsychology from the University of Calgary and her M.H.Sc. and Ph.D. in Speech Language Pathology from the University of Toronto. Afterwards, Rupal completed postdoctoral research at the Massachusetts Institute of Technology and served as a faculty member at Columbia University before joining the faculty at Northeastern University where she is today. Rupal is here with us today to tell us all about her journey through life and science. Rupal likes to spend her free time with her family. Her two kids are a great source of inspiration and ideas, and Rupal loves hearing about how they interpret the world. The science in Rupal’s lab focuses on understanding normal speech production as well as problems that can interfere with speech production. She works to help people with speech impairments communicate better and investigates ways that computers can be used to mediate communication. As a kid, Rupal was very shy. She moved from Zambia to a very small town in Canada, and people struggled to understand her British accent there. Rupal’s teachers thought she was having difficulty with reading (because she had learned a different way), and put her in a special group for help. These early experiences were frustrating and sparked her interest in communication. However, she didn’t really know what she wanted to do for a career since she didn’t know about speech-language pathology or computer-assisted communication until much later. A major struggle Rupal experienced was related to obtaining research funding. Rupal spent a whole summer writing a grant that she believed was one of the best grants she had ever written, as well as one that had the most far-reaching impacts on science. The grant was rejected outright without being discussed by the review panel. She made some revisions and resubmitted with the same frustrating result. The work was eventually funded after Rupal broke the project up into smaller pieces, rather than trying to tackle the big picture all at once. Rupal and her company VocaliD were awarded the 2014 Innovation Prize from South by Southwest for Health, Med and Bio Tech Innovation. Though she went into the conference knowing they had been nominated, she had no expectations of winning since she was competing with big companies who had been doing this for many years. The crowning moment of this success though was when Rupal’s son told her that he was proud of what she was doing because her work would really help people in the world. Barcelona is one of the most memorable places Rupal has visited. She went there to give a talk on VocaliD and fell in love with the city. Exploring the city after the conference was exciting, and she was able to see parts of Barcelona that were not the typical tourist destinations. Last year, Rupal returned to Barcelona and enjoyed seeing the city again with her family. Rupal’s lab made the best of a tough situation when they had to move their entire lab operations to a dormitory for the summer because there were asbestos problems in their building. They decided that the common room of their dorm room suite would be where they would hold meetings, and they stocked the fridge with all kinds of food. They worked hard, had snack breaks, ate lunch together, and really became a tight-knit group. If you want to change the world, science is the career path for you. There are so many different directions that a science and math career can take you. Professor Patel founded and directs the Communication Analysis and Design Laboratory (CadLab), an interdisciplinary research group that conducts research along two broad themes: analysis of spoken communication and the design of novel human-computer communication interfaces. To bridge cross-disciplinary research and innovation, she recently founded Northeastern University’s Center for Speech Science and Technology. Rupal holds appointments in the Department of Communication Science and Disorders and the College of Computer and Information Science at Northeastern University as well as adjunct appointments in the Speech and Hearing Bioscience and Technology program at Harvard-MIT, Department of Psychiatry at University of Massachusetts and Haskins laboratory at Yale University.